There are as many ways to help as there are students that need help. During the year, we have various events that require food. We can always use volunteers to help cook, serve, set-up and clean-up. 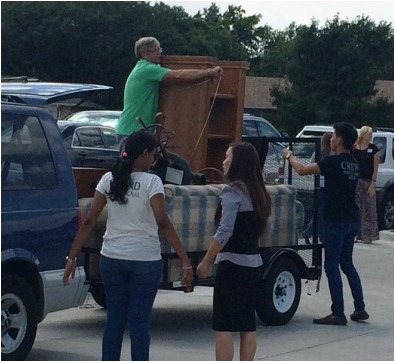 We need people to help deliver furniture at our Great Give-Away in August. Also, students often need help repairing their cars, and they like to have people teach them to do simple maintenance. We can connect you with people who teach English as a second language. These are just few ideas to get you thinking. Contact us let us know what skill you would like to share and how you would like to serve.